Affiliate Disclaimer: This post contains affiliate links. I get commissions for purchases made through links in this post. Although you won’t pay any more for any purchases you make, the commissions will enable me to continue to provide free content to readers. 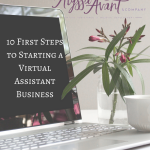 As a technical virtual assistant, I see behind the scenes of many people’s businesses. 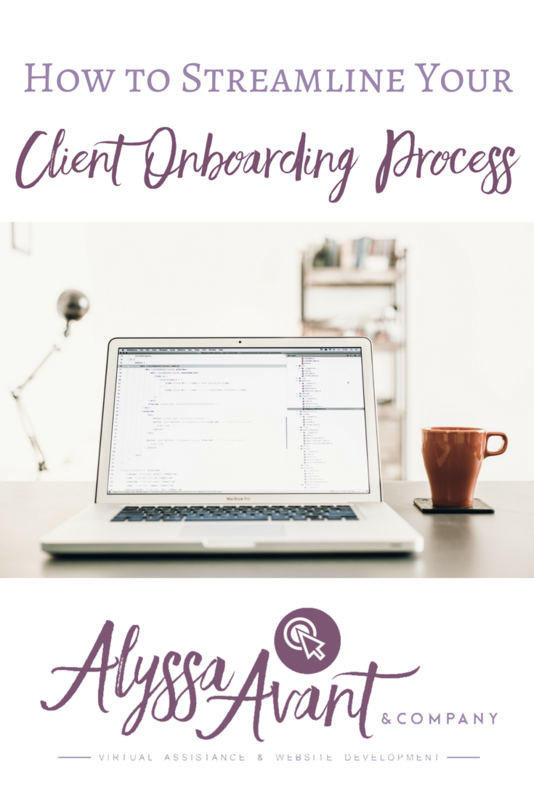 No matter what the offer is, if you are offering a service, whether it be a class, a coaching program, or a WordPress website design, you will have to have a client onboarding process. You will want the process of getting information to your newest clients to be smooth, easy, and most of all automated, if possible so that you don’t forget a single step. You will want to start creating and streamlining your client onboarding process by making a checklist of each step needed. Take a client from a brand new client to an engaged client with all the information that they need to start your class, communicate and engage in your coaching program, get their site design started, or whatever the offer is in your business. Send the new client a welcome email. Send the client an agreement via HelloSign. Ask them to fill out my new client form. Send the client an invoice via Freshbooks. Invite the client to a Dropbox folder. Inside the welcome email, I explain to the client all the pieces above that they will be receiving. I also tell them what to expect from our agreement. One of the most important things to consider when you are creating your onboarding process is to try to answer any of the client’s questions by anticipating them before they ask. Remember, you want the process to be as smooth as possible. Some additional tips for streamlining this process are to use various tools. These tools can help save time and automate the process. The first tool I recommend, if you are a Gmail user, is to use the canned responses lab that is available to you. This stores template emails so that you do not have to type them over and over or even copy and paste because they are right there for you. The second tool that I recommend is the e-signature tool that I recommend and use, which is called HelloSign. This program also allows you to store templates if you use the paid version, but the free version works great as well. For forms, I use the program called Cognito forms which I embed right into my website. This is another program that has a free option and is very simple to use. Finally, I use Freshbooks for invoicing and Dropbox for file storage and sharing. I simply create a new folder for each client and share it with them. The more that you can streamline the client intake process, no matter what your business is, the better. This will save you a ton of time and stress. 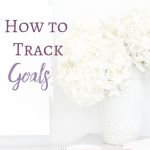 Wondering what other tools you might use to help streamline your business? I have a free download of 30+ Tools to be More Productive in your Business.Click here to get it now! It’s time to demystify getting website traffic. The reality is, it’s not as hard as you think. It does take work, but it’s not difficult to work. 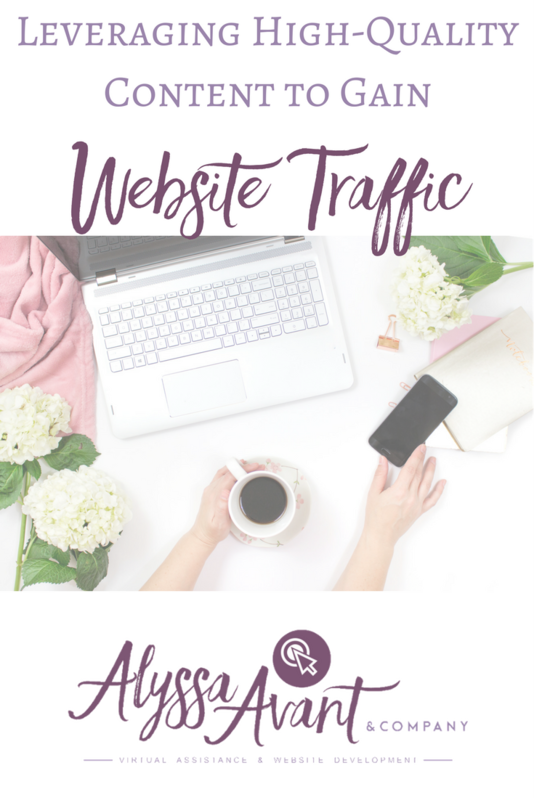 How do you drive traffic to your website consistently? Here are several proven traffic sources and methods to help you consistently bring people to your website. You’ve probably heard the expression “the money is in the list.” This is SO true. 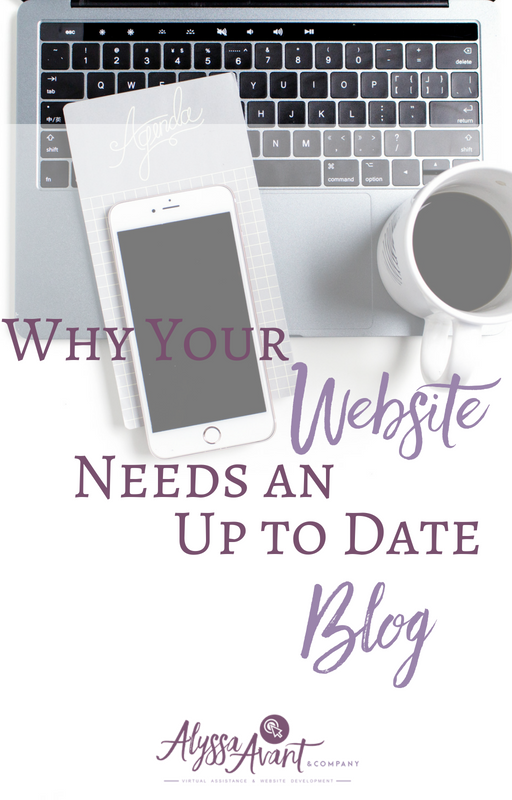 Website owners who put off building their list until sometime “later” are majorly missing out. The time to start building your list is now. The attitude you should take with your newsletter is to build your following or audience. The attitude shouldn’t be one of trying to SELL them. A 90% content to 10% sales ratio is about the maximum amount of selling you should do. Remember: The goal is to build an audience over the long run, not to try and make as many short-term sales as possible while burning out your audience. High-quality content is what will bring you the most traffic over time. To build a business successfully means to have high-quality content that people want to come back to and send to their friends. What are the best ways to leverage high-quality content? The most obvious way is to put it on your own website. You should have more high-quality content on your own site than any other site. Another way to leverage high-quality content is to have your content published on other people’s websites. 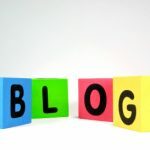 One great way to do this is to guest post on other blogs. What does this mean? Basically, you write a piece of content exclusively for someone else’s blog or website. The article is highly informative and really hooks others in. At the bottom of the article is a link pointing back to your site. There are many places you can publish your content. 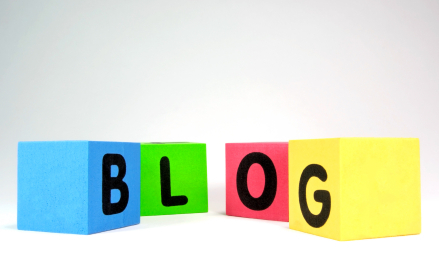 These include article directories, other people’s blogs, which is known as guest blogging and more. The bottom line is to really get your content out there to as many people as possible. Try publishing a YouTube video and see what happens. Start a Twitter or Facebook page and see how your audience responds. Once you start getting decent traffic from your website, expand out to other methods of gaining traffic. Chances are, only a couple methods will really work for you. But if you don’t try it out, how will you know? One great way to gain both traffic and credibility for your website is to interview other experts on the topics they’re known for. This does two things: First, it provides high-quality content for your own readers and subscribers; and second, it also links your site with the person you’re interviewing. The person you interviewed will often post a link to the interview on their own website. Even if they don’t, you’ll still get massive credit in your industry and in the eyes of search engines for interviewing those experts. If you interview 10 experts, you will almost certainly get at least 5 backlinks back, resulting in both increased rankings and a lot of traffic. There are many ways to drive traffic to your website. The most important thing is that you’re implementing something today. If you take action, you will always see results. Select the one that appeals the most to you and put it into action now. Gauge the results, then take the next action from there. Need help utilizing high quality content in your newsletter. Let me help you! When I first came online to “do” business, social media was small and quiet. Not nearly the robust powerhouse that we know now. 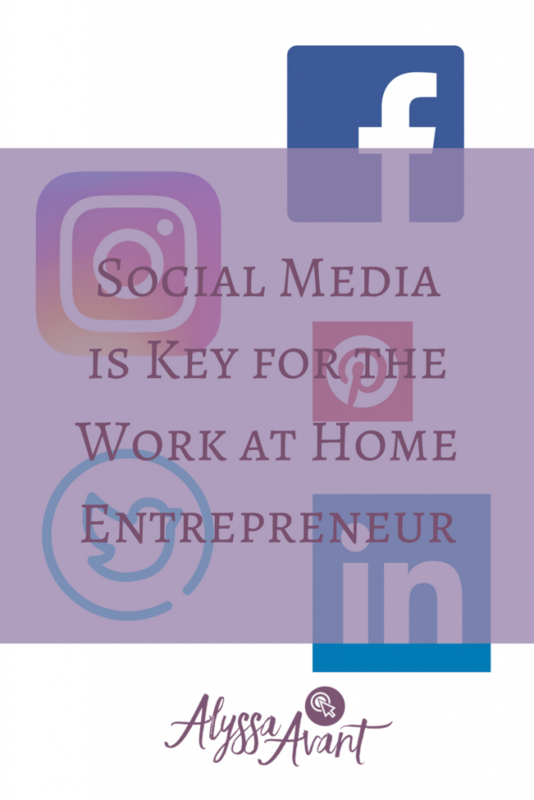 But one thing I learned quickly about social media as it grew was that it was a must for a work-at-home entrepreneur like myself to be involved with. There are many reasons why you should as well. For many work at homers it has been dubbed as the Internet’s water cooler. It is surely a way in which we can connect and where relationships can form. Relationships – Twitter, Facebook, LinkedIn, and other social media platforms allow us to establish relationships like never before. With just the click of a mouse we are able to make contact with, get to know, and start up a conversation with a complete stranger who could in turn become a joint venture partner, a client, a mentor, or even a friend. All of the above has happened for me in the last few years of “doing business” online and utilizing the amazing avenue of social media. I have met friends, forged joint venture relationships, followed and learned from mentors and worked for clients in almost every state in the nation and some other countries as well. Finding Your Audience – With the many groups, associations, forums, lists, and more that categorize people by their interests, age, social status, and more the opportunity is there like never before to tap into a number of “databases” if you will of people with among whom you can find the audience that you’re looking to serve. This is how social media allows for the entrepreneur to instantly connect with his or her audience and quickly begin networking with those they wish to serve. Communication – Before doing business with social media one would have to jump through many more hoops to establish a connection with someone in order to enter into a conversation with that person. I shudder at the thought of “cold calling” and “lead purchasing” though they have merit and value in business, maybe even in today’s marketplace. I, for one, am grateful for the invention of social media which allows for communication with my potential audience and my leads without such grueling tasks. Establishing Yourself as An Expert – Of all the mentioned benefits, this is likely the greatest of all. Social media gives the entrepreneur equal footing and a platform from which to speak. This allows for you to create a name for yourself as well as establish yourself as an expert in your chosen field much faster than ever before. This is why it is important for the entrepreneur to begin to share their message, loud and clear with anyone who will listen. I encourage you to use the tools and benefits that social media brings to the table for the work-at-home entrepreneur. You will be glad you did. In addition, I know that social media, and staying involved in it, can sometimes be a daunting task. That is why I had to develop a social media system for myself in order to stay on track. 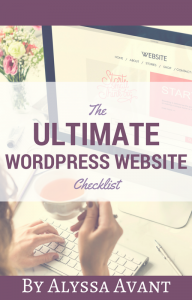 If you’re curious what is involved in my system, why not download my FREE Ultimate Social Media Systems Checklist.